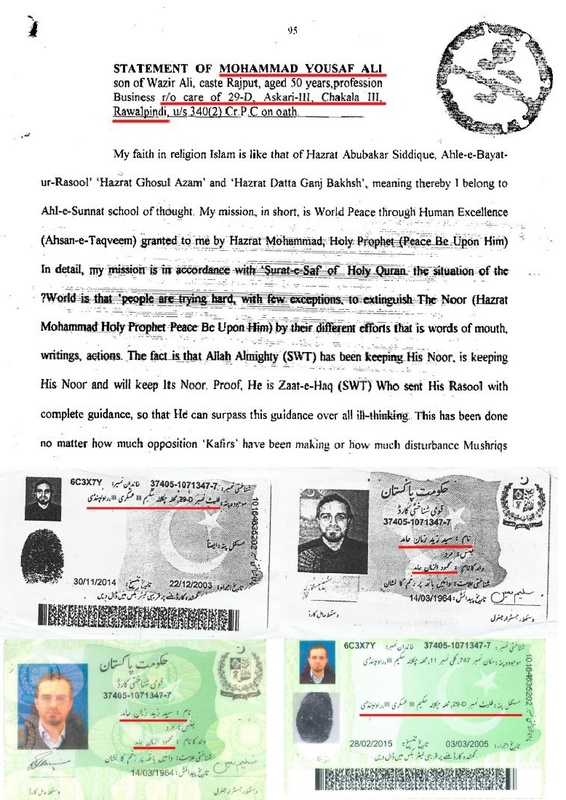 Zaid Hamid is any “Sharia court” or Sharia authority where ulema should go to “clear their doubts?” Ulema claimed that yusuf is guilty, they dragged him to the court and presented sufficient proofs with all material (Audio,Video, Written Material, eye witnesses) and court gave a sufficient time to yusuf kazzab to present his view, so he was guilty and was sentenced to death, Now ulema and Pakistani People have no doubts on Yusuf Kazzab. So, If zaid hamid have any objection to the court decision then he should go to higher court, If he thinks that courts are Non-Islamic then he should go to Ulema and present them proof of yusuf kazzab “innocence”. This seems to be ludicrous and total non-sense that Ulema should come to zaid hamid. And everyone knows Ulema are not “hiding” or “running away” on kazzab’s issue instead Zaid Hamid was hiding to accept the truth from last 2 years. And running away from the questions of his dark past.